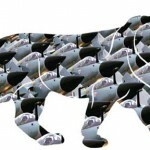 Home > News > Military & Aerospace > Is Indian Defence Preparedness Adequate in 2019? India is the world’s sixth-largest economy by nominal GDP and the third largest by purchasing power parity (PPP). Since 2014 India’s economy has been the world’s fastest growing, surpassing China. India topped the World Bank’s growth outlook for the first time in fiscal year 2015–16, during which the economy grew 7.6 per cent of the GDP and in this fiscal it has come down to 7.3 per cent due to demonetisation and goods and services tax (GST) though useful in the long run. There are verbal reports of Chinese academics calculating China’s 2018 economic growth at as low as 1.5 per cent, rather than the official 6.5 per cent. In view of the impact of tight fiscal and monetary policies in their daily lives, the government has lowered its all-major macroeconomic targets and projected that the economy will slow down to around 5.2 per cent in 2018. Pakistan’s economy is in shambles, and there is very little hope of its revival anytime soon. 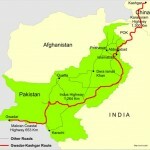 The task ahead of Pakistan Prime Minister is daunting. Its economy survives on bailout packages from the global organisations like the IMF (International Monetary Fund) and the World Bank, and allies like China and the US. The country has received around a dozen bailout packages in the past 40 years. Despite the fastest growth rate in the world, India’s defence outlay has been 1.58 percent of the GDP (lowest since 1962 war) among its adversaries – China and Pakistan. The defence outlay of China is 3 per cent and Pakistan 2.5 per cent of the GDP. This has severely affected the modernisation of Indian defence forces, however, some of the adhoc strategic weapons purchases like Rafale multi role combat fighter jets from France, S-400 missiles system from Russia and indigenously build Arihant submarines are a ray of hope for defence modernisation. 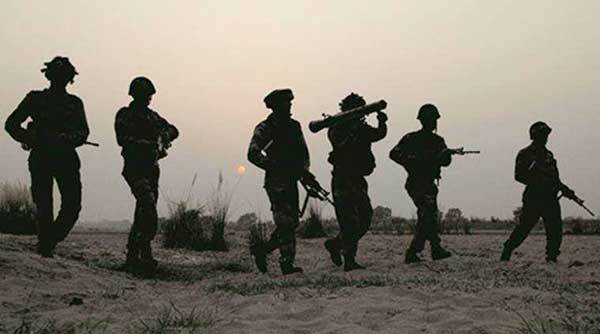 In order to dominate its adversaries India has to allocate its defence outlay to around 3 per cent of its GDP to make the army strong to face any two-pronged attack in the future. As India’s relations with both China and Pakistan continue to deteriorate, the country’s policy-makers must contemplate the unpleasant possibility of a ‘two-front’ war with both countries. 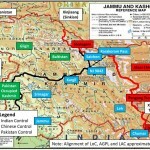 Whether or not such a war would be overtly collusive between China and Pakistan – that is, whether they would pre-plan a joint attack on India or it would be a case of strategic opportunism – it is clear to many in positions of authority that the Indian military remains fundamentally unprepared for such a challenge. But it can also be argued that a two-front force ratio (ratio of Pakistani and fraction of Chinese inventories to India’s) has evolved and varied considerably over time, as China continues to rapidly modernise and numerically increase its military (through significant increases in defence spending) while Indian military preparedness flounders. It also points to an urgent need to make qualitative and quantitative improvements in the Indian military. In terms of the ratio of Pakistani main battle tank (MBT) to India’s, India has steadily lost its advantage. In 2007, this ratio stood at 0.61, which by 2016 had risen to 0.85. The same pattern reappears when it comes to China, where the MBT ratio has risen from 1.89 in 2007 to 2.23 in 2016. For the total number of combat capable aircraft, the situation is marginally better. In 2007, this ratio for Pakistan was 0.64, which ten years later decreased to 0.56. The total aircraft ratio between China and India has also decreased in the same period, from 3.12 to 2.87. Nevertheless, the Chinese superiority in these two metrics is striking. The Pakistan/India frigates ratio increased between 2007 and 2016 because while the strength of the Pakistani frigate fleet has remained constant in that period, the size of the Indian fleet has decreased by two vessels, from 16 frigates in 2007 to 14 in 2016. As expected, China enjoys dominance over India in the size of its frigate fleet. In 2015, the ratio between the two fleets was 4.07. The ratio dropped the following year due to a decrease in the Chinese fleet by four ships. What is, however, quite striking is the overall decrease in the size of the Chinese fleet: from 68 ships in 2011 to 53 ships in 2016. This is most likely the result of Chinese naval modernisation that puts a premium on technological quality over quantity. Even at 20 percent Chinese deployment, the artillery two front force ratio (TFFR) increased from 0.69 in 2007 to 0.73 ten years later. It suggests a move away from artillery pieces and into short- and medium-range precision-strike missiles in order to have the same tactical effect. In India, some limited moves in this direction have been made with the deployment of Brahmos missiles to the border with China. However, it is the serious depletion of the Indian Air Force’ strength – from 870 to 803 combat capable aircraft, between 2012 and 2016 – along with a more than 21 percent increase in the number of such People’s Liberation Army – Air Force (PLAAF) aircraft in that period that explains the plot. The TFFR for tactical submarines went up from 1.24 in 2007 to 1.33 in 2016, with a peak of 1.44 in 2010 and 2011 (assuming 20 percent Chinese deployment). Assuming 30 percent Chinese deployment, the TFFR in 2016 stood at an alarming 1.71. However, both India and China’s total number of tactical submarines have fallen: India’s fell from 16 in 2007 to 14 in 2016, while China’s fell from 59 to 53. The latter is, again, a reflection of China decommissioning older equipment in favour of more and more lethal submarines, including Type 093 (Shang-class) nuclear-powered attack submarines (SSNs). The TFFR for all combat-capable naval aircraft stood at a little more than one in 2016 (assuming 20 percent Chinese deployment). However, this is one metric whose trend is assuring for India. Between 2014 and 2016, India added 26 combat-capable naval aircraft to its inventory. This is perhaps due to the commissioning of the aircraft carrier INS Vikramaditya (Russian: Admiral Gorkshkov) to service in 2013 and in preparation to induct another aircraft carrier – INS Vikrant – to service in 2020. China plans to operate five aircraft carriers in the near future, including two nuclear-powered ones that would be launched around 2025 to meet the evolving strategic shifts, according to Chinese military experts. China officially confirmed that it is building its third aircraft carrier which is stated to be “bigger and mightier” than the other two warships, a move by Beijing to bolster its blue-water navy capability to operate far from its shores. Officials say the rapid acquisition of aircraft carriers by China is of concerns to India too, as the Indian Navy, which is operating aircraft carriers since 1961, is currently operating only INS Vikramaditya. The homemade INS Vikrant expected to launch sea trials in 2020. Pakistan despite its poor economy is purchasing 600 T-90 tanks to fill the gap of its combat efficiency with that of India, which is a cause of worry for India. PM Modi’s government wants to build up its defense industry through its “Make in India” programme, hoping to create jobs and cut huge import bills. But India often prioritizes price, awarding contracts to state-owned defense firms that invest little in research and development, over-promise to score contracts and abandon many projects halfway, according to a report from Delhi’s Institute for Defence Studies and Analyses (IDSA). Last year, the Indian Army rejected an Indian-made rifle for the second year in a row after it reportedly failed quality tests. Locally made products like Arjun tanks, light combat aircraft (LCA) and even bulletproof jackets often can’t be used on the sensitive China or Pakistan borders because of performance issues. Part of the problem is procurement overseen by “non-expert” generalists of the Indian Administrative Service (IAS), said Manoj Joshi, a fellow at the Observer Research Foundation (ORF) think-tank who was on a government task force recommending national security reforms. Experts suggest India could resolve some issues by appointing a single person in charge like Chief of the Defence Staff (CDS) which is still not seen light of the day by the Modi Government. The year 2018 would be seen as the biggest defence purchaser year of the century. The eagerly awaited 36 Rafale in flyaway condition combat aircraft for IAF signed in 2015 with the French government – first aircraft – will reach in September 2019. The Rafale is a twinjet fighter multi role aircraft able to operate from both an aircraft carrier and a shore base. The fully versatile Rafale is able to carry out all combat aviation missions: air superiority and air defense, close air support, in-depth strikes, reconnaissance, anti-ship strikes and nuclear deterrence. Indigenously built nuclear powered ballistic submarine Arihant has completed its first deterrence patrol completing triad of nuclear weapons was launched in November 2018. Though one submarine alone is no major deterrence, however, it opens doors for future deterrence. Another one of the major deals signed with Russia in 2018 is the S-400 Triumf advanced missile system despite threats of sanctions from the US. The deadly missile has created panic in Pakistan as it clearly shifts balance of power in India’s favour. The defence acquisition council cleared deals for procurement of BrahMos missiles and Armoured Recovery Vehicles. After almost a decade of negotiations, India and the US signed the Communications Capability and Security Agreement (COMCASA) opening the doors for India to procure high-end technology equipment and enhance interoperability between the two countries’ forces. The Artillery in November inducted new guns including K9 Vajra self-propelled guns and the M777 Howitzers to replace Bofors after a gap of almost 35 years. Delhi hopes to export made-in-India military technology, including its BrahMos missiles, to smaller countries in Asia that fear China’s rise. India will have another chance to show off at the Singapore air show starting February 6, where BrahMos Aerospace, a joint venture between India and Russia, will exhibit for the first time. The government has been able to cover some of its missing gaps towards modernisation through adhocism but it has to concentrate to work on a perspective planning and give priority towards defence forces to keep their morale high which is presently lacking.